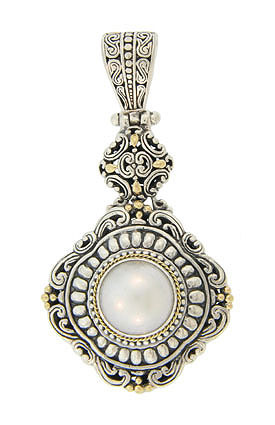 A luminous cultured pearl is set into the center of this handsome antique style sterling silver pendant. Intricate scrollwork and engraving highlighted with 18K yellow gold cover the surface of this spectacular piece. 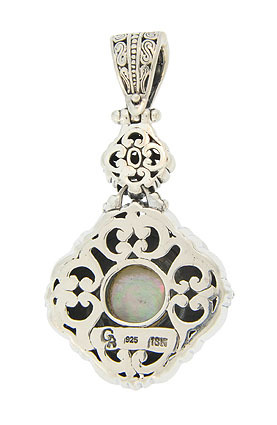 The pendant measures 2 3/8" in length, 1 1/4" wide.